Public Engagement in the sunshine! 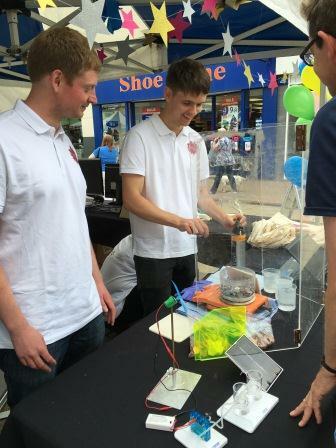 We recently headed down to a very sunny Boscombe for a day spent talking about science as part of their bustling Saturday market. Pitching up in between two amazingly fragrant food stands we spent the day talking to the community about two research projects with the potential to change lives as part of a British Science Association and Royal Society of Chemistry series of events known as Science in the City. The idea of Science in the City has been to take science into highly deprived communities and talk to people about research who wouldn’t usually engage with us through events such as Festival of Learning. 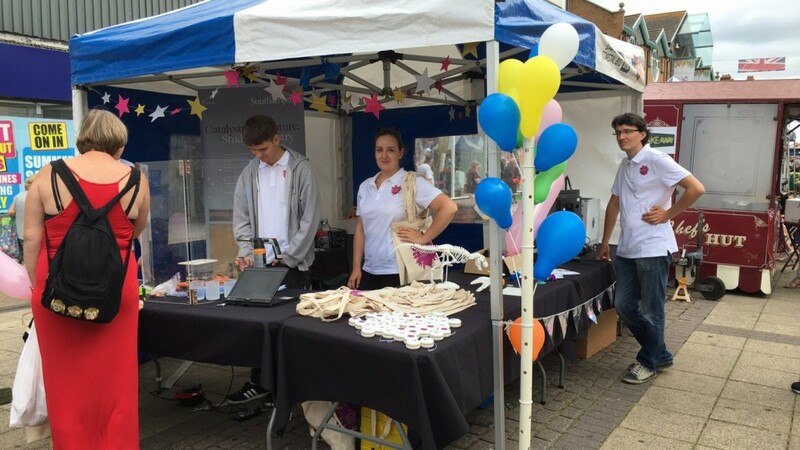 Working with University of Southampton (UoS) we submitted the bid in December 2015 and were successful in being picked to host an activity as part of the 2016 round of funding and approached Boscombe Market for a venue to let us talk to the community. Keen to take the opportunity to share some of our high profile research we were especially pleased to be joined by Oleg Fryazinov and Mark Moseley who have been highly involved with the award winning SHIVA project which enables disabled children to design and 3D print objects using a simple interactive system that can be controlled using either touch or eye tracking software. This project has recently received funding through HEIF5+1+1 to expand the project further and work with new schools. Currently they are working closely with the Victoria School in Poole and may of the objects seen in the image below where designed by their students (unfortunately not the dinosaur as the software isn’t quite up to this yet!). 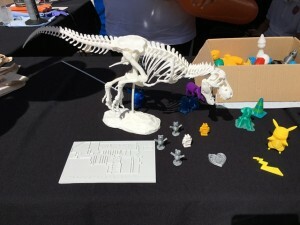 As well as BU’s research we also took an activity from UoS’s public engagement Roadshow. David and Alex, two PHD researchers from the university joined us for the day to talk to people about the technology behind hydrogen fuel cells and how they have the power to revolutionise our lives and minimise the amount of unclean energy needed to run our cars, buses and lorries. As well as a demonstration of the fuel cell in action they also were helping the public understand how catalysts could be used to reduce the amount of energy you need to put into a reaction and how coating a cheap substance (in our case copper pennies) with a catalytic material (a brass coating made by coating the penny in zinc and heating to produce an alloy) can reduce the costs involved with using them.